Award-winning singer-songwriter, musician and proud Devonian Jim Causley is an all-round entertainer and during the past decade has been nominated no less than six times for a BBC Radio 2 Folk Award. Last year he was also nominated as “Singer of the Year” at the 2017 BBC Radio 2 Folk Awards. 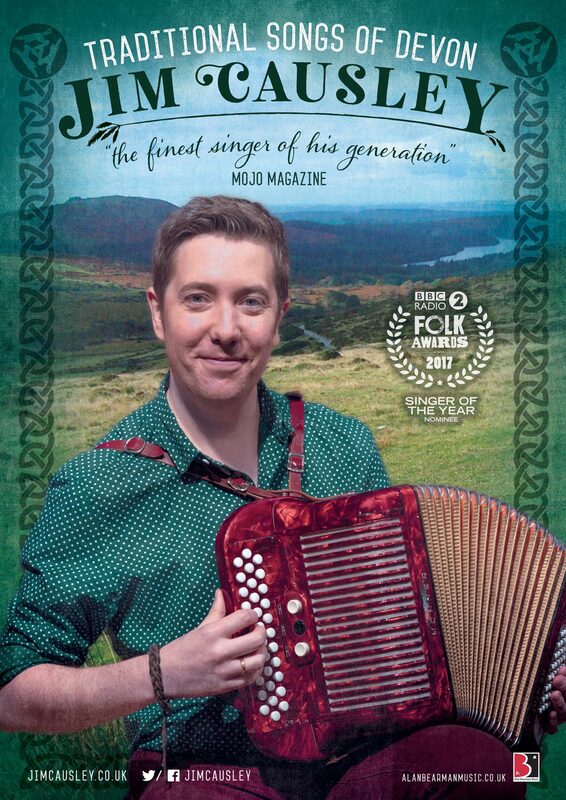 In 2014 he won the Spiral Earth Singer of the Year award and presented his own folk music show on BBC Radio Devon. The following year he worked with BBC TV historian Dr Sam Willis to create the music for his show ‘Highwaymen, Outlaws and Villains’.